BMC congratulates you on the purchase of your new BMC bike! Our name stands for high quality, durability and functionality in the development, production and processing of the materials used as well as the striking looks resulting from the finish, concept and design. To ensure that your high-quality BMC product provides you with unlimited fun and riding pleasure for many years, you need to follow the advice described below and in your manual. BMC Switzerland AG (hereinafter BMC) provides top-quality bicycles in preassembled form only through specialised bicycle retailers.The final readiness for riding and thus the guarantee of riding safety, in particular the buyer-specific adjustments of the suspension, gears and brakes, are only to be performed by authorised, specialised BMC retailers (hereinafter: BMC retailers). The term 'buyer' in this text refers to you, the end customer. The following warranty conditions specify the warranty services provided by BMC to the buyer and the requirements for making warranty claims. The buyer has rights to warranty claims subject to the following conditions. The warranty only covers BMC-made frames, rigid forks and components (hereinafter BMC products). The warranty only covers new BMC products that were purchased from a BMC retailer. All other parts and components are excluded from this warranty. Buyers of a bicycle from Model Year 2011 onwards have the option of registering their frames within 30 days after purchase with a BMC retailer on the BMC website, which will extend the warranty period for the frame from 3 to 5 years. The warranty period is not extended after repair/exchange of the frame. Wearing parts such as ball bearings, sliding bearings, bearing bolts, bearing screws, etc. Damage due to unsuitable cleaning agents or additives,or tools such as high-pressure cleaners. A service provided under warranty (repair/replacement) does not extend the original warranty period. No warranty claims exist in addition to those mentioned above. Warranty claims are to be submitted to your BMC retailer in the form of a completed warranty application form, the copy of a warranty card or a purchasing receipt from your BMC retailer. Your BMC retailer will report your warranty claim, incl.pictures of the defective parts and the frame number, to BMC who will decide on further procedures immediately after receipt of the warranty request. Parts that require inspection will be detached, cleaned and forwarded to BMC as required. The option of a once-off crash replacement service is provided for certain models after warranty registration on the BMC website (see Section 3). Please consult the page 'Crash replacement' for details of the terms and conditions and a list of the models covered. The legal effectiveness of the remaining clauses is unaffected if one clause of these warranty conditions is or becomes ineffective or has a legal loophole that needs to be closed. A valid clause that comes as close as possible to the original intent of the ineffective or missing clause shall be deemed to have been agreed upon. It is agreed that the courts of the Solothurn district shall be solely competent for all disputes resulting from or in connection with this warranty (including issues concerning validity of the contract). This purchasing contract is subject to Swiss law with the exclusion of conflict-of-law rules and the agreement of the United Nations concerning the international purchase of goods (UN Purchasing Law). For bicycles as of model year 2011, BMC shall offer the initial purchaser an optional warranty period extended to 5 years (instead of 3 years) on breakage of BMC frames due to material or processing defects. 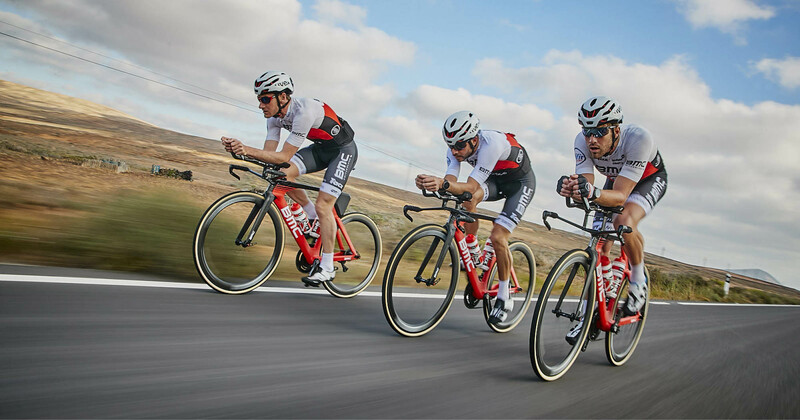 The crash replacement is an optional service from BMC Switzerland AG, as a result of which you shall have the one-time opportunity to have your BMC frame replaced with a discount on the respective valid, official list price.